Champion vs. Champion | Witness the biggest battle of the year on 23 November 2014! The most exciting fight of the year is coming back to Cotai Arena! Boxing's only eight-division world champion and Fighter of the Decade Congressman MANNY "Pacman" PACQUIAO returns to Macao for Clash in Cotai II on Sunday 23 November. Pacquiao will defend his World Boxing Organization (WBO) welterweight title against New York's undefeated WBO junior welterweight champion CHRIS ALGIERI, “21sth century real-life Rocky”, who became boxing’s No. 1 story since his recent victory over Ruslan Provodnikov. 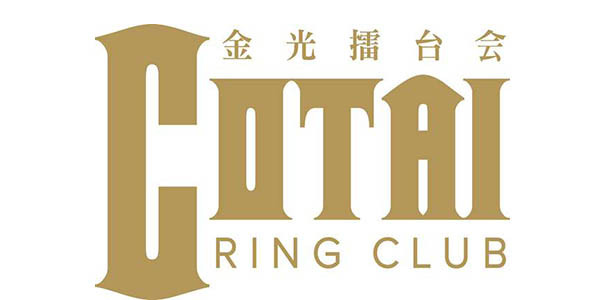 The exciting undercard for Clash in Cotai II will see China’s undefeated golden boxer Zou Shiming looking to secure his first world title shot, with an exciting eliminator bout. Also fighting will be undefeated Chinese boxers Ik Yang from mainland China, Hong Kong’s “The Wonder Kid” Rex Tso and “The Macao Kid” Ng Kuok Kun, plus undefeated Mexican sensation Gilberto Ramirez. At the age of 35, Manny is a 19-year pro and one of boxing’s biggest stars. He has been fighting at the top levels of competition and given some of the most sensational performances in the ring in recent years. He has his master’s degree in clinical nutrition, and plans to attend medical school and become a doctor after concentrating on his boxing career. At the age of 33, Zou is a one-year pro. A former international amateur standout, he is the greatest amateur boxer in the history of the light-flyweight division – a two-time Olympic gold medalist and three-time World Championships gold medalist – and one of China’s most popular athletes. As a professional, he has already broken into the Top 10 world flyweight rankings – he is ranked No. 4 by the WBA, No. 5 by the WBO, No. 6 by the WBC, and No. 11 by the IBF. At the age of 27, Rex is a two-year pro. A rising young contender at 115 pounds, he is a very popular performer in his home area. He has been progressing very quickly, and already broken into the Top 10 world rankings. Rex has already had two fights scheduled for 12 rounds, and has fought opponents with much more experience and given impressive performances, including a fourth-round TKO win against former WBC strawweight world champion Wandee Singwancha in May, 2013. At the age of 24, Ng is a one-year pro. A prospect at 154 pounds, he made his pro debut on May 28, 2013, in Hong Kong. In his last fight on July 19 at the Venetian Resort in Macau, he won a six-round unanimous decision against previously undefeated Beau O’Brien. At the age of 26, Vasyl is the WBO featherweight world champion – he won the world title only eight months after his pro debut. It was also only his third pro fight, which tied the record for having the fewest fights when winning a world title. Saensak Muangsurin of Thailand won a junior welterweight world title in his third fight in 1975. Vasyl won the vacant WBO title with a 12-round majority decision against previously undefeated Gary Russell Jr. in his last fight on June 21. At the age of 28, Antonio is a 10-year pro. A former WBC lightweight world champion, he won the title in October, 2011, and made two title defenses. He is also a former WBC interim lightweight world champion – he won that title in October, 2009, and vacated it to challenge, unsuccessfully, for the WBC lightweight world title for the first time four months later. He has moved up in weight to the super lightweight division. At the age of 25, Jessie is a six-year pro. The WBA super lightweight world champion, he is a very popular performer in his hometown – 12 of his 25 fights have been in Las Vegas. He stepped up in class of opposition in the last few years and scored impressive wins against Josesito Lopez, Lanardo Tyner, and Lucky Boy Omotoso. In his last fight on August 2, Jessie defended the title for the first time with a 12-round unanimous decision win against Anton Novikov. Fighter of the Decade Congressman MANNY "Pacman" PACQUIAO returns to Macao for Clash in Cotai II. He will defend his World Boxing Organization (WBO) welterweight title against New York's undefeated WBO junior welterweight champion CHRIS ALGIERI. This will be a fight you won't want to miss. The Bellini Lounge on the mass gaming floor at The Venetian Macao, will be hosting the screening of this historical fight. The 6m x 3.3m screen boasting higher than HD resolution will be bringing you a direct live feed strait from the arena in the comfort of the lounge. Ticket price includes buffet brunch to get you in the mood for what will be undoubtedly a great Sunday of boxing. The Milan Ballroom is located 1st floor next to Cotai Arena at The Venetian® Macao, and there will be 360 degrees of visible screens to see the fight. *Please note Cash Food & Beverage Concessions will be available and the venue is “standing room only”, there will not be seating in this venue. Thanks for visiting, this event has ended. Visit Live at Venetian Macao to view more upcoming shows!